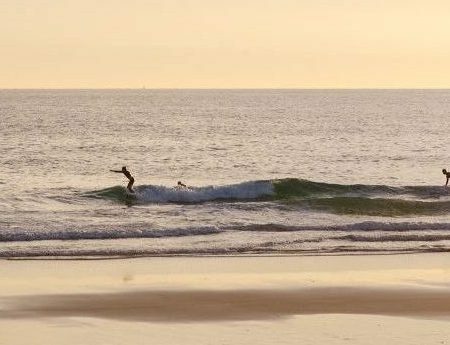 Wellness holidays aren’t all about green juice and silent meditation these days - they can be lots of fun. You can build your own log raft in Sweden, climb trees in Ireland, or perfect your yoga poses aboard a historic ship in Maine. But what if you want to minimise your carbon footprint while you do a headstand by the sea? Luckily, eco-friendly wellness retreats are popping up all over the world and here are some of our favourites. 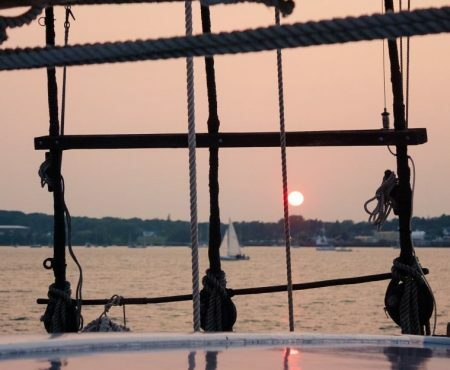 When it comes to unique eco-wellness holidays, it doesn’t get much better than a sailing trip with the Maine Windjammer Association. 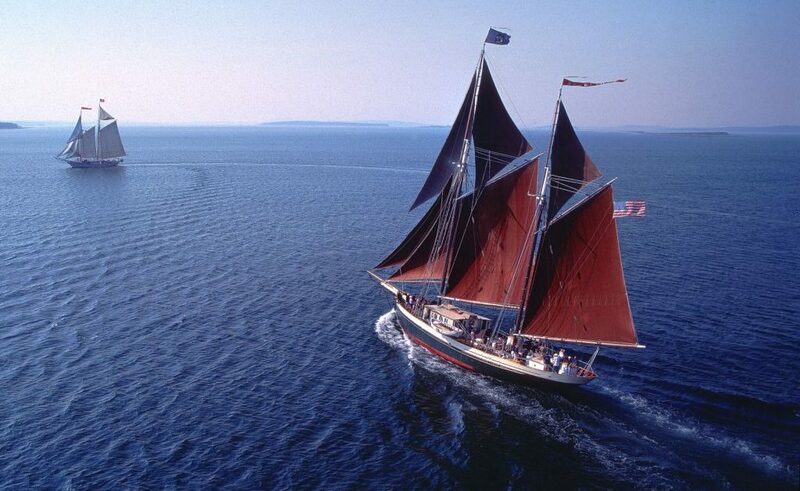 The Maine Windjammers are North America’s biggest fleet of historic schooners. These magnificent ships are used for three, four, and six-day trips along the coast of Maine. Although all of the trips involve delicious food and the chance to explore the coast, some are based around particular themes. The Victory Chimes Wellness Sail is a relatively new concept This relaxing and restorative trip gives guests the chance to practice yoga on deck and meditate to the sounds of the wind and the sea. The schooners harness the power of the wind to transport guests, making the cruises ideal for eco-conscious travellers. By using wind power, the ship’s average weekly fuel consumption is about one gallon per person. The Windjammer Association also operates according to the Leave-No-Trace principle. Guests should leave beaches even cleaner than they found them, which might mean picking up some plastic while the crew prepares a lobster bake. In the best way possible, Granö Beckasin is in the middle of nowhere. Tucked between an expanse of thick forest and the pristine Umeälven River, this eco-retreat marks the gateway to Swedish Lapland. At Granö Beckasin, you can get that incomparable sense of peace and relaxation that comes from being immersed wilderness. But at 25 kilometres from Vindeln, it’s still accessible. Granö Beckasin is for people who want a more adventurous take on the concept of eco-wellness holidays. You can build your own log raft and drift down the river, camping on the banks along the way. You can hike through the forest, forage for wild berries, go on a walking moose safari, or just relax in a traditional Swedish sauna. During the winter months, dog-sledding is an exhilarating way to explore the landscape. Accommodation is provided in the form of bird nests (treehouses), an eco-hotel, and private wooden cabins. Granö Beckasin prides itself on offering “eco-premium” accommodation. Everything about this magical place is green and sustainable, from the locally sourced food in the restaurant to the recycled furnishings in the bird nests. At La Clairière Bio & Spa Hotel in Alsace, a lot of effort has gone into making sure that everything is luxurious and ecologically sound at the same time. From the organic bedding to the hotel’s renewable energy sources, it’s a beautiful hotel with a green philosophy. The main focus of the hotel’s wellness programmes is on using nature as a way to increase health and happiness. Most of the activities incorporate nature in some way. Guests can try Nordic walking, hiking in the forest, and outdoor meditation. The swimming pool contains lower levels of chlorine than normal and the luxury spa uses a range of natural products. There’s also a big emphasis on eating well – there are elements of Ayurvedic cooking in the seasonal and detox menus. A lot of the food is wild grown, and there are lots of fresh herbs and spices. If you like eco-wellness holidays to be a little more rustic, glamping on a farm might be your kind of thing. Rock Farm Slane is a glamping site, organic farm, and eco-activity centre all rolled into one. If you want to recharge in a beautiful part of Ireland, then is an excellent place to go and do it. During the summer, the farm’s gold-certified glamping site opens its tent doors to visitors. There are five luxury yurts to choose from, nestled in a woodland clearing and surrounded by fields. There are also two small shepherd’s huts and a communal area for cooking and relaxing. Large groups can choose to book the eco-lodge – a bright, airy, and beautiful straw-bale building. There are also plenty of outdoor activities to try. 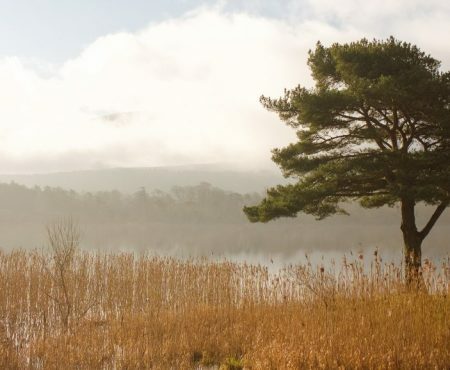 From exploring on an electric bike to kayaking or rafting along the river, the Boyne Valley area is full of surprises. At Rock Farm Slane, guests can also book in for a tree climbing session. All of the safety equipment and instruction is provided, so all you’ll need to focus on is getting up into the tree canopy. This award-winning eco-wellness retreat is ideal if you’re looking for a yoga holiday with green credentials. Ard Nahoo has a holistic approach to teaching yoga and the centre holds weekend and one-day retreats throughout the year. If you’re looking for something short but intense, you could try the Yoga and Detox Retreat. It combines yoga classes with a juice cleanse, an infrared sauna session, a guided walk, and some time to relax. Accommodation at Ard Nahoo is in dreamy eco-cabins. Wind turbines provide power and antique furnishings give the timber cabins an even cosier feel. All of the cabins are self-catering, but if you don’t feel like cooking, you can order nourishing vegetarian meals from a local chef.